Broadband @ Home » Connected @ Home » What is the Internet of Things Market? What is the Internet of Things Market? 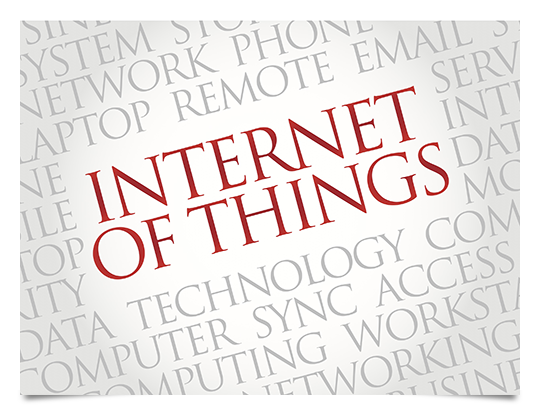 Yet another technology buzzword phrase, the “Internet of Things” or IoT is getting a lot of publicity. In short, the IoT describes a cornucopia of devices — including doors, lighting, locks, appliances, cameras and more — that can be accessed and controlled wirelessly using a smartphone, tablet, or desktop computer. Homeowners are now leveraging the Internet of Things to add home automation or home security systems to their house or apartment. Does this latest tech innovation interest you? Will you have to worry about the IoT hogging your home Internet bandwidth? Let’s take a closer look. A home automation system is one obvious way you can leverage the Internet of Things at your residence. SmartThings continues to garner popularity for their DIY home automation product line; in fact, the company was recently acquired by Samsung. SmartThings features an open architecture compatible with devices from third-party manufacturers as well as their own. The typical SmartThings setup includes an array of devices running the gamut from lights to water detection monitors to video cameras. Everything connects wirelessly to a hub which attaches to your home router using an Ethernet cable. You are able to control your system using a mobile app available for the iOS and Android platforms or with your web browser. Home automation systems generally allow you to turn devices on and off, monitor video cameras, control locks, or even receive alerts on your smartphone when a certain event happens like a door or window break-in, or if the system detects water in your basement. Many traditional security companies like Honeywell or even AT&T’s Digital Life provide 24/7 monitoring on their home automation systems for an extra monthly fee. What about Cyber Security and Bandwidth Considerations? So you might wonder if adding a home automation system to your residence just gives hackers another way to disrupt your life? You need to make sure you use a strong password on your router and change it regularly — whether or not a home automation setup is part of your network. Companies in this sector are definitely focused on making their systems and individual devices more secure. Bandwidth remains relatively unaffected when using the Internet of Things at your home. Constantly monitoring any video cameras on your system uses the most bandwidth. So consider that if you plan on setting up a kitten cam at your home. The Internet of Things is yet another technology innovation making your life a little bit easier. If you enjoy tinkering around with the latest tech toys, consider setting up a home automation system at your home. The Clapper is officially obsolete.